Lynn had aspired to a singing career from the first time her dad lifted her up to the podium at church to sing “Jesus Loves Me” at the age of four. In college, she won numerous musical awards including semi-finalist in the Metropolitan Opera auditions in Los Angeles. She concertized in Israel, Guatemala, Colorado, Philadelphia and many churches, including her own Evangelical Free Church in Fullerton, CA, where she and her family have been members since 1979. In 1985, she worried her aspirations would be sidelined when she was diagnosed with multiple sclerosis. In spite of her disability, she recorded a Christmas album in 1995 with two other musicians, and in 2003, recorded a second CD of her own under the direction of a talented producer in Escondido, CA. 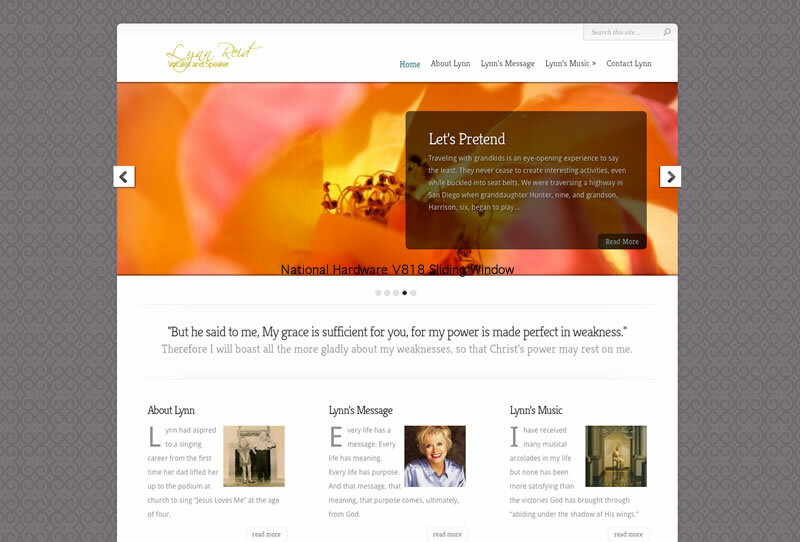 Find our more about Lynn at Lynn Reid Vocalist & Speaker.